On 28 February 2017, Suyapa Martínez was notified by the Civil Court of the district of Francisco Morazán, that the company Desarrollo Energético S.A. (DESA) had filed a lawsuit against Centro de Estudios de la Mujer – Honduras (Women Research Centre – Honduras, CEM-H) on the grounds of allegedly false declarations concerning the murder of human rights defender Berta Cáceres. On 28 February 2017, two days before the one-year anniversary of the killing of Berta Cáceres, Suyapa Martínez was notified that DESA had filed a lawsuit against CEM-H, based on declarations made by the human rights defender as a representative of the organization concerning the murder of Berta Cáceres. Suyapa Martínez publicly alleged that DESA was involved in the planning of the crime. On 2 May 2016, four men were arrested in connection with the murder of Berta Cáceres, two of whom have ties with DESA, the Honduran company that was building the Agua Zarca dam, a project Berta Cáceres had strongly opposed and campaigned against. In the complaint, the company requests indemnification for damages and losses to the amount of one million lempiras (approximately €40,400) for allegedly inaccurate and false declarations. The human rights defender is due to attend a court hearing at 10 am on 21 March 2017. Front Line Defenders has previously reported on attempts at criminalization of recognized women human rights defenders in the country. On 26 March 2015, Honduras' Tribunal of Tegucigalpa sentenced human rights defender Gladys Lanza Ochoa to eighteen months imprisonment. Gladys Lanza Ochoa was the coordinator of the Movimiento de Mujeres por la Paz Visitación Padilla (Honduran Women's Committee for Peace "Visitación Padilla"), a collective of women human rights defenders from across Honduras. She faced accusations of “defamation and slander” due to her public advocacy in support of a former employee of Fundación para el Desarrollo de la Vivienda Social, Urbana y Rural (Foundation for Development of Urban and Rural Social Housing, FUNDEVI), who reported sexual harassment in her workplace. The Office of the Special Rapporteur for Freedom of Expression of the Inter-American Commission on Human Rights has previously stated that “resorting to criminal tools to punish specially protected speech is not only a direct limitation of freedom of expression but it can also be considered as an indirect restriction of expression because of its intimidating, silencing and inhibiting effects over the free flow of ideas, opinions and information of all kinds”. 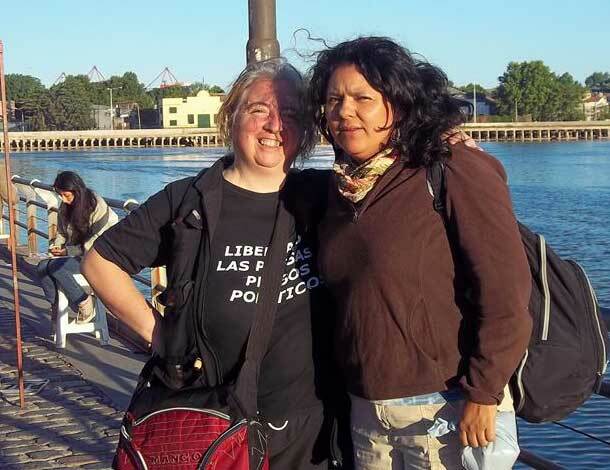 Front Line Defenders is gravely concerned at the judicial harassment against CEM-H and human rights defender Suyapa Martínez, as it believes the complaint against the organization was directly linked to their legitimate work in the defence of human rights. Take all necessary measures, in consultation with the human rights defender, to guarantee the physical and psychological integrity and security of Suyapa Martínez and the members of CEM-H.
Suyapa Martínez is the co-director of CEM-H, a civil society organization that aims to promote social change through the elimination of violence and discrimination against women. The organization has promoted campaigns for women’s rights in Honduras and advocated for changes to several laws in the country, such as Ley Contra la Violencia Doméstica (Law Against Domestic Violence) and for the passing of other laws such as Ley de Igualdad de Oportunidades para la Mujeres (Law on Equal Opportunities for Women).